(Natural News) If you want to know what your local river will look like in the future, your best clue is to inspect its rocks. 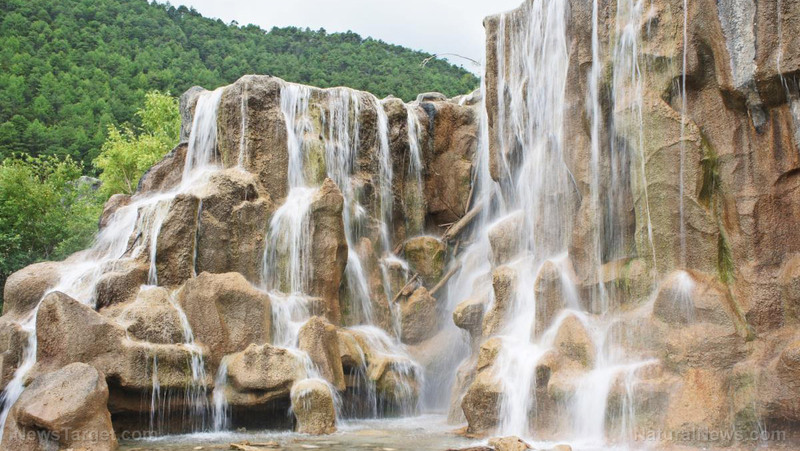 A joint Scottish-French study on waterfalls suggests that the type of rock on a riverbed have a much bigger impact on the evolution of rivers and waterfalls than the amount of water coursing through them, according to a ScienceDaily article. Researchers from the University of Edinburgh (UoE) and Université de Rennes 1 (Rennes) say that their finding provides valuable clues about the ways rivers, waterfalls, and their surroundings evolve over time, especially with outside factors working on them. This includes any reactions to external sources such as rising or falling sea levels or the slow but steady movements of tectonic plates far below the surface of the Earth. Rivers and waterfalls will react to these. The Natural Environment Research Council and European Commission supported the joint UoE-Rennes study on waterfalls. The results were published in the journal Scientific Reports. For their study, the researchers created a scale model of a river using three different mixtures of silica cement. They included a 2 cm tall waterfall – which they refer to as a “knickpoint” – in order to find out how this particular feature will be affected by the flow of water and the material that comprises the riverbed. Given their energetic nature, waterfalls are a powerful source of change in the landscape they occupy. Furthermore, they have a tendency of migrating upstream instead of downstream. Established models of this response assume a correlation between knickpoint retreat rate and the catchment drainage area. This was disproved by the results of their study, where the upstream migration of a waterfall was governed by the composition of the riverbed. When the researchers increased the amount of water flowing through the model, the catchment drainage area reshaped itself accordingly. However, the position of the waterfall itself did not move much despite the significant rise in water discharge. Altering the material of the riverbed model, on the other hand, greatly affected the migration speed of the waterfall. A softer substrate abraded faster and therefore hastened the movement, while a much tougher material slowed it down. Based on their findings, the researchers believe the established model for calculating the speed of waterfall migration is not workable. This is because the catchment drainage area self-regulates to account for higher or lower amounts of water flow. Instead, future studies should also consider the sturdiness of the rocks that comprise the riverbed. They cite Niagara Falls, one of the biggest and most famous waterfalls in the world. Despite its imposing bulk, they say it migrates much more slowly than the far smaller cascades found in Scotland. “Accurately modelling how rivers change is important for understanding landscape evolution in the past, present and future,” explained Dr. Mikaël Attal. A professor of the School of GeoSciences at UoE, he participated in the study alongside author Edwin Baynes. “The nature of the rock on the riverbed plays a more important role than the size of flow in influencing how rivers evolve, and ongoing studies should take this into account,” he said. For more news on rivers and other bodies of water, visit Ecology.news.